Length: 4 hrs. 22 min. He traveled to South Korea to film an amazing rescue . . . his own. Brian Ivie was filled with compassion as he read a Los Angeles Times article about Pastor Lee’s solution to unwanted newborns in South Korea — a baby drop box. 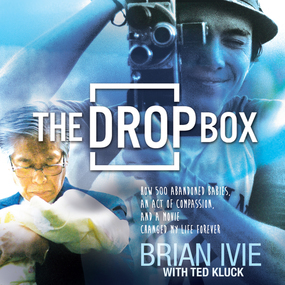 Brian traveled halfway around the world to film the documentary The Drop Box. But God had even bigger plans. For in the midst of filming the plight of these abandoned and broken babies, Brian realized his own spiritual brokenness. At its heart, this is a story of spiritual orphans — young and old — discovering their true identity as children of God.